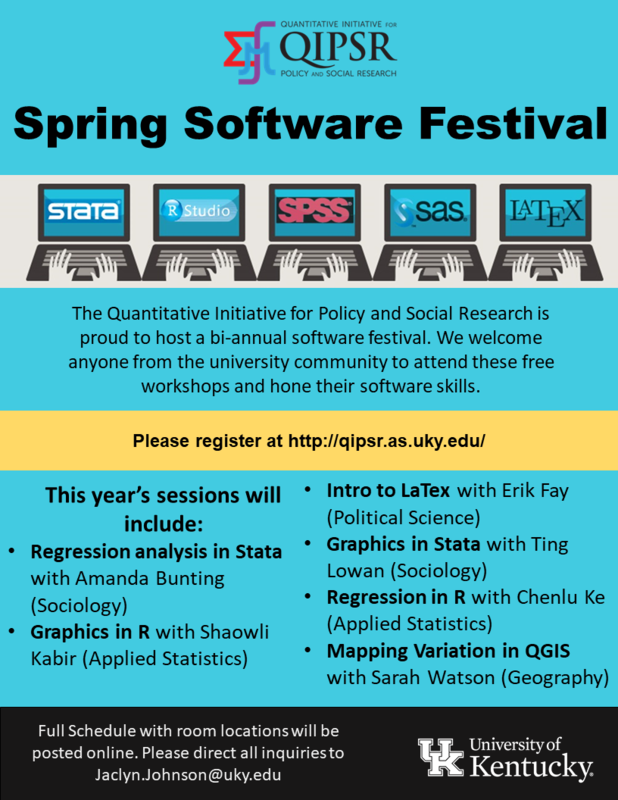 Please join us for our Spring Software Festival! If you plan to attend, register here. The fifth annual QIPSR Conference entitled Democracy at Risk will take place on Friday, November 7th in the Gallery of Young Library. Reversing Trajectories will take place on April 16th, 17th and 18th. This conference will focus on the substantive links between incarceration and violence and their political results. Winter Software Festival. Two-hour introductory software workshops.